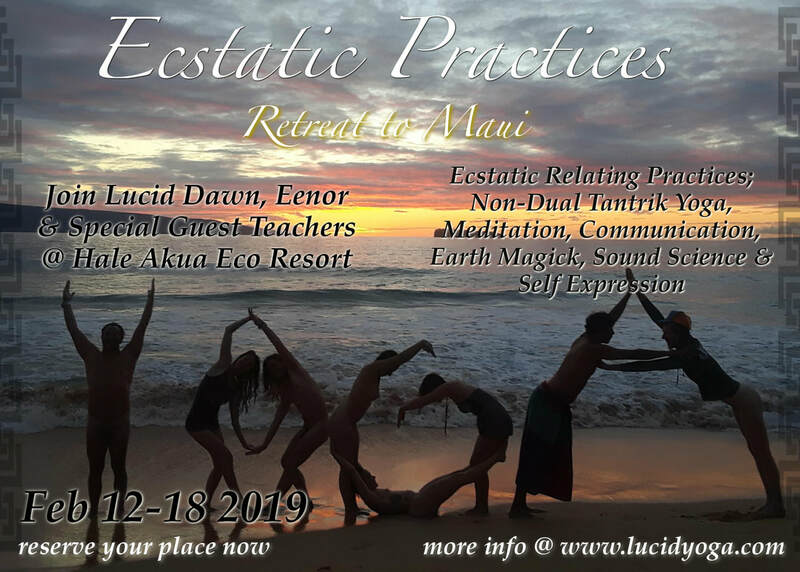 About this trip: lucid dawn & Eenor Wildeboar are delighted to invite you to their soul home of Maui & a week of ecstatic practices. Join us for daily yoga; asana, pranayama intensives, sound/ nada yoga/ toning & mantra practices, meditation, ritual/ ceremony/ guided trance, live music, partner yoga, dance, swimming, organic food (grown just for us! 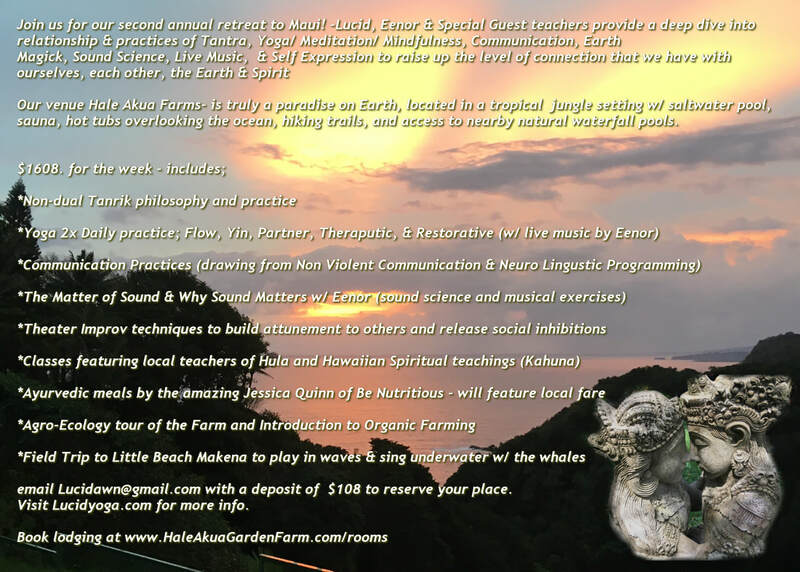 :), & excursions to magickal Maui places. The whales & their new babies will be there in February, we love to go sing w/ them & want to bring you w/ us! This event includes an intro to Organic Gardening & an Agro-Ecology class tour. Eenor has many generations of Hawaiian heritage & this is where we spent our pregnancy & early parenthood. Maui to us is like the womb of mother earth. She strips away the layers & leaves you blissful. Ecstatic practices do the same, so our work will be amplified. You will go home renewed w/new tools for transmutation and self empowerment. *read BLOG posts on lucidyoga.com & NonaFender.com. Click HERE to SIGN UP for our NEWSLETTER! Single Room Accommodation, Doubles, & Groups. There are many rooming options single/ double /group, prices vary from $50. a night (shared room & bed) to $237 night.<luxury> You also have the option of seeking your own housing elsewhere but it will be especially valuable to stay on site with us! Book Now - click on this link to go to retreat site page & learn more &/or book!